A lot of tourists who visit the old city of Jerusalem take a day trip to Bethlehem, a little town which is located 10 km south of Jerusalem. Bethlehem, the birthplace of Jesus Christ attracts thousands of pilgrims worldwide and they all visit the Church of the Nativity which is the main focus in Bethlehem and the oldest church in the Holy Land still in use. 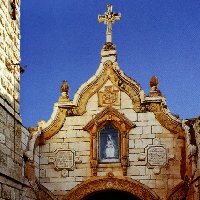 You can get from Jerusalem to Bethlehem by bus or own transport. In East Jerusalem you'll find the Arabic Bus Station at the Damascus Gate, also called, Bab el-Amoud. From here bus line 21 runs to Bethlehem via Beit Jala. The trip will take up to 40 minutes. You can also decide to take a shared taxi which will probably get you there quicker. There is a Checkpoint which you have to enter and exit when coming in and out Bethlehem. Bus 124, also leaving from Damascus Gate, runs here directly. The trip might take longer in case of problems at the checkpoint so make sure your documents are in order. The centre of Bethlehem is 3 km from the Checkpoint and you can take a taxi here or walk.. 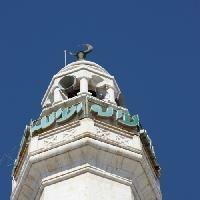 Besides the Church of the Nativity there are a lot of other religious attractions which are worth a visit. Amongst the most popular things to see in Bethlehem you'll find the tomb of Rachel, the wife of Jacob, and the Milk Grotto Chapel which, if the stories are to be believed, served as a refugee hiding place for Mary and Joseph with baby Jesus on their way to Egypt. Did you enjoy By bus from Jerusalem to Bethlehem in Israel and have you been on a holiday in Jerusalem, Israel? 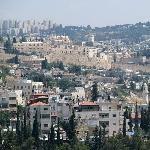 Disliked: The long bus ride from Jerusalem..